Kanex on Thursday announced its new GoPower Watch Stand, a premium magnetic charging stand for both Apple Watch and iPhone, featuring an Apple-certified charging connector integrated directly into the hardware. 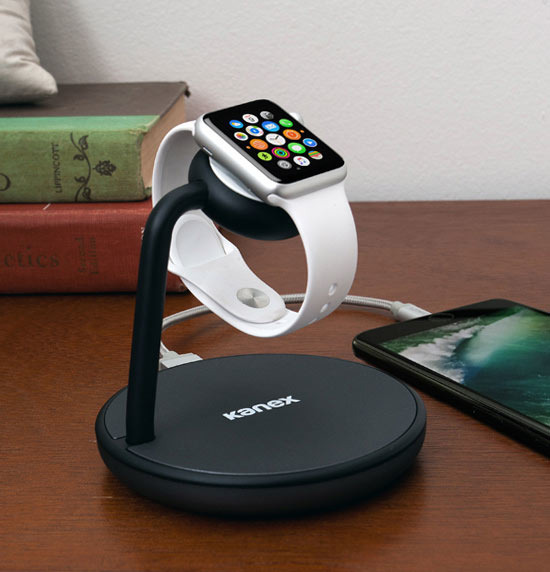 Priced at $69.96, the Kanex GoPower Watch Stand is now available to preorder direct from Kanex. Reseller B&H is also selling the accessory and expects it to be available by June 7. The integrated magnetic charger supports both the 38- and 42-millimeter Apple Watch sizes. Unlike some other docks available for Apple Watch, users do not need to bring their own cable to charge the wearable device. 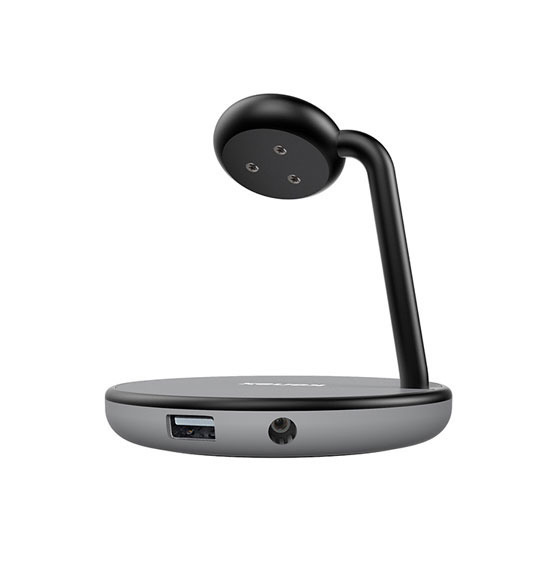 On the back of the dock is an AC adapter plug, as well as a full-size USB port that can accept a standard Lightning charging cable. It allows users to charge both their iPhone and Apple Watch simultaneously. Many companies avoid including Apple-certified charging connectors in their accessories so they don't have to pay the company's licensing fees. 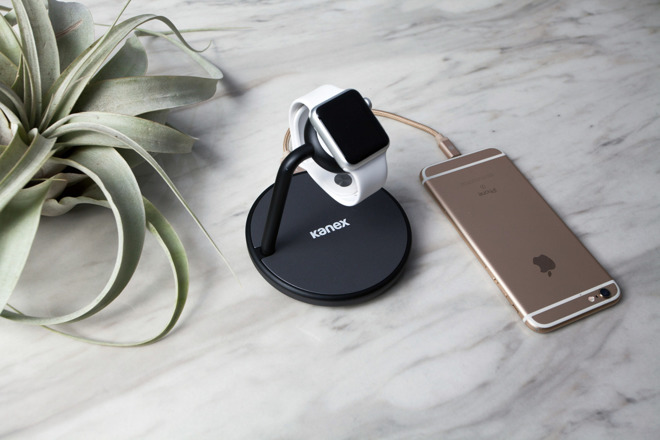 Kanex, however, now offers two products with integrated magnetic Apple Watch chargers, as the GoPower Watch Stand joins the battery-toting GoPower Watch, which AppleInsider reviewed earlier this year.